The Recreation Leadership Advisory Team (RLAT) and the Stewardship Advisory Team (SAT) met at the Galveston District Office April 16 and 17, 2019. 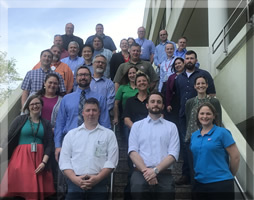 The teams discussed a variety of topics including initial plans for a future national NRM Workshop, the NRM Strategic Plan, and briefings from each of the Divisions. 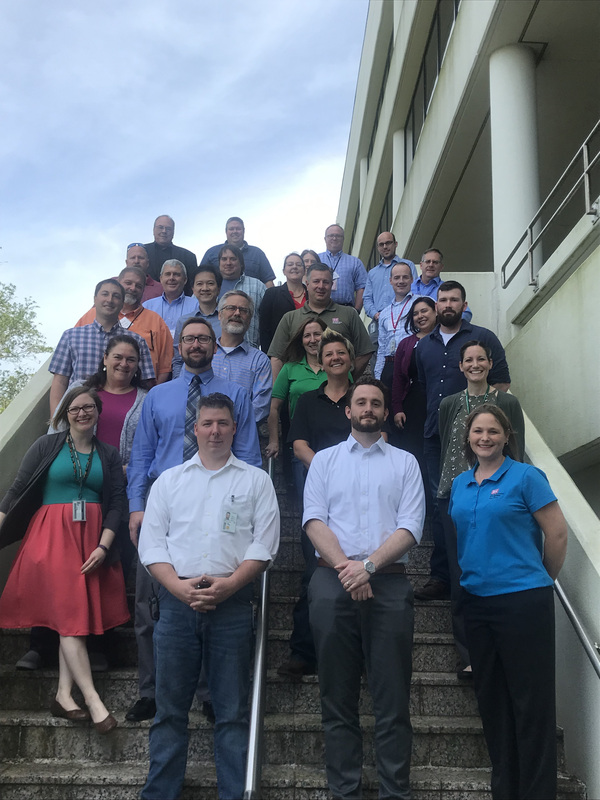 The RLAT and SAT are each composed of a field or district representative from each Division, each Division's Recreation or Stewardship program lead, Headquarters NRM staff, and IWR/ERDC NRM Support Staff. The teams meet jointly twice a year. Chris Alford (NWW) serves as the chair of the RLAT and Jeff Piscanio (NAP) serves as the chair of the SAT. If you have questions or would like to learn more about either of these teams, the chairs or your division representatives would be happy to help. Is your NRM Gateway experience being interupted by 404 errors? Don't feel bad, you can help! Click here to see how to help us fix these broken links! Recreation News - "The Recreation Retreat"
Notice of Availability to Lease Government Property - Camp Crowder, Missouri - Camp Crowder, Missouri hay lease opportunity: All mailed applications for agricultural leasing for Camp Crowder, Missouri are due no later than Monday, May 13, 2019 by close of business. The bid opening will be Tuesday, May 14, 2019 at 1:30 p.m. at the Kansas City District's Real Estate Office located at 601 E. 12th Street, Kansas City, MO 64106. 02/21/19 - Recreation Newsletter - "The Recreation Retreat"